You Can Turn Off Autocorrect, but Can You Keep it Off? 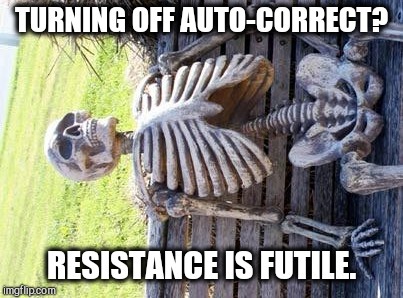 TURNING OFF AUTO-CORRECT? RESISTANCE IS FUTILE.